The latest edition of The International Journal of Existential Psychology and Psychotherapy Volume 6 Number 1 is now available. To view, visit our journal site here. The International Journal of Existential Psychology and Psychotherapy - Current issue, back issues, and information for authors. Search our Professional Directory of Therapists, Researchers, and Professors, and add your own information. Professional membership in the INPM supports our work, and also provides you with benefits, including published copies of IJEPP, and access to submit articles for publication. Click here for more information. Sunshine Coast Health Center is a proud sponsor of INPM and shares in its commitment to bringing meaning and purpose to the discipline of psychology. The Meaning-Centered Counselling Institute (MCCI) was founded by Dr. Paul T. P. Wong and Dr. Lilian C. J. Wong to provide meaning-centered training and therapy. 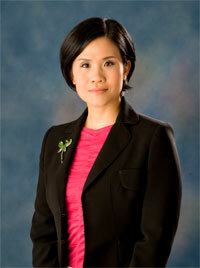 Carrina Chan is the Managing Director of Saint Honore in Hong Kong. She provided the much needed funding for the Meaningful Living Project. 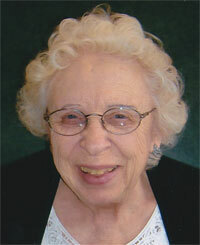 Anne (Richards) Thompson (1923-2011) believed that despite evil in the world, the good of people would win in the end. She was an admirer of INPM's mission.